Chagatai Khan: One More Multifaceted Fraud: Lt . General (R) Shahid Aziz - EX-Chairman NAB. One More Multifaceted Fraud: Lt . General (R) Shahid Aziz - EX-Chairman NAB. Well here we go again, another general (shorn of his uniform) has suddenly found 'ghairat (Honour)' and now is 'feeling' the waters in the media so that he also can be considered as a defence analyst like many others before him but this 'johnny' has gone a step further by claiming that the corps commanders of the army were not 'consulted' by Gen. Musharraf (who was CoAS and Chief Executive at the time of 911) and he [Lt. General (Retd). Shahid Aziz] did not agree with the decision of the CoAS and Chief Executive to throw Pakistan's support behind the US war on terror (ref; DAWN-TV program In Focus dated 9-12-2009). When in the army you are allowed to 'disagree' or 'agree'. After serving 38 years in the army and ending as CGS at his last posting, he still doesn't understand the fact that in the army the culture is 'Top Down' and you obey the orders or you are shown the bloody door. Person who opposed his chief in some high profile decision then why didn't he resigned before his term as Corps Commander or how could he later became the head of his accountable institution? 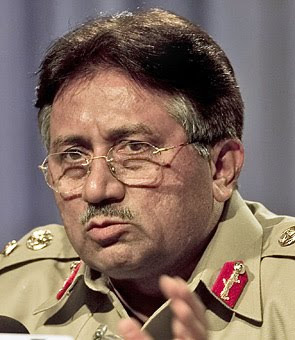 Watch the video clip and then go through every line [do read the same General praising General Musharraf in Daily Jang DATED Tuesday, September 16, 2008, Ramazan 15, 1429 A.H http://jang.com.pk/jang/sep2008-daily/16-09-2008/main3.htm right after the video clip and see for yourself that this General changes colour faster than Chameleon! NOW READ THIS ON THE SAME GENERAL AND ANSAR ABBASI: Obviously many must have missed the clarification, and obviously Ansar Abbasi and many others like him have succeeded in doing propaganda full of lies, but still it is nice to expose them and their true stinking faces. Read what Ansar Abbasi wrote - Now, here is what clarification came from Shahid Azia. Why clarification was needed is obvious, because Ansar Abbasi twisted the interview. Purpose of Ansar Abbasi was to misguide innocent readers, and obviously those who trust Ansar Abbasi (unwittingly) and had no opportunity to read what Shahid Aziz Actually said, would get misguided. Things to note from what Lt Gen Shahid Aziz said (against lies what Ansar Abbasi propagates) is that: It was policy of president Musharraf that Musharraf vigorously emphasised to all that ... no Pakistani would be handed over to Americans, plus Pakistan would try to send all foreigners first their own country (actually, what I know is that Musharraf gave general amnesty to all foreigners if they surrender and want to live in Pakistan. Only those foreigners were attested who did not surrendered, and when arrested their country were approached to take them and when their contrary declined to take them than only they were handed over to Americans). 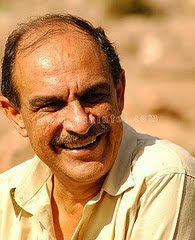 Shahid Aziz also said that when we learned of Pakistanis in Guantanamo Bay, we felt remorse. According to Shahid Aziz, the possibility of these Pakistanis in Guantanamo Bay is that they must have got arrested in Afghanistan. Lt Gen Shahid Aziz also said that at no point military was unaware of anything that was related to Military and military was involved. He also said that decision to ditch Taliban was made with careful consideration and taking all pros and con into equation, something only those could understand who were in the position at that time. Capital Talk - Part 5 (7 Dec 2009) URL: http://www.youtube.com/watch?v=vbjpIWlQUMg Throughout Lt Gen Shahid Aziz not only defendend President Musharrad decisions but appreciated it showing high regards of the decisions and role or President Musharraf throughout. He also said that Pakistanis should be thankful of President Musharraf that he steered Pakistan out of crises getting us 7 valuable years after 9/11 and made Pakistan stronger strategically today. He further said that Musharraf only cooperated with USA to certain limit, and never cooperated beyond that limit. Now it is sad and disgusting that Ansar Abbasi twisted everything what Shahid Aziz said and did all to misguide innocent Pakistanis so that he can fulfil his agenda of using Shahid Aziz. From what Shahid Aziz wrote and the reality, one can judge the character of Ansar Abbasi, and people like him in Journalism as well as in other places. Worse is that, many Pakistanis are becoming victim of such propaganda and lies by number of thugs like Abbas Ansari in Journalism and becoming misguided. http://jang.com.pk/jang/sep2008-daily/16-09-2008/main3.htm NOW IN 2009 THE SAME GENERAL UNDER CORRUPTION PROBE FOR MISUSING THE POWERS AND WHAT A FUN NEWS IS FILED IN THE SAME JANG GROUP OF NEWSPAPERS! Person who opposed his chief in some high profile decision then why didn't he resigned before his term as core commander or how could he later became the head of his accountable institution? Imran Khan's Support: Then Musharraf Now Taliban! GEO TV/JANG GROUP: Lies of Kamran Khan.